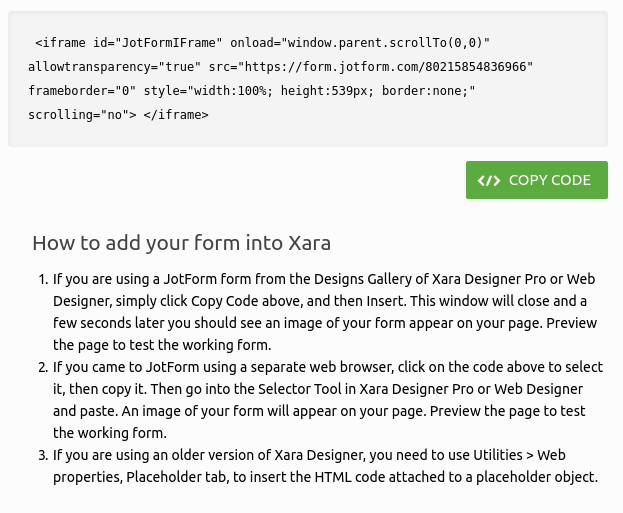 Xara: The Submit button is not there. I have added a Submit button but it is not there. It is on the form but it is almost nonexistent. I can't even click on it! I am working with Xara website builder. How did you embed your form? I have tried those methods. Still nothing. I used the separate broswer to embed the code but it shows up in code form instead of the text form. Try increasing the height of your form by approx 200px.